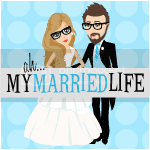 The Infertility Overachievers: About Me! Oh were do I even start. I am a 30 year old *former* Army wife and stay at home mom. I was born and raised in the south, and wouldn't want it any other way (Y'all!). I met my husband in 2001 when he was stationed in my home town. 6 months later he went off to a military college 1000 miles away. It was definitely not your average relationship, but we made it work. After 5 years together long distance, Mike and I got married in May 2006. A few months and 3 dogs later, we decided to start a family. What we didn't know was that deciding to have a baby was the easy part. After a 2 year struggle trying to get pregnant, our IVF miracle London was born at 37 weeks on February 28, 2009. I love being London's Mom but we both know that our family is not yet complete. We are now trying to conceive baby number two, but it doesn't look like this time is going to be any easier than the first. 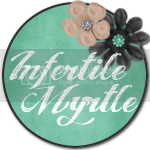 If you want to read Our Complete Infertility Journey click on the link at the top of the page. 2) Calling me a Type A personality would be an understatement. I am always trying to take charge which doesn't always work well since I married a Puerto Rican man. 3) I am very sarcastic. Yet, when I write I worry that people who don't know me think I am being serious. So I use a lot of these :) just to make sure people know I am kidding. 4) My husband is 5 inches shorter than I am. I am 5'10" and he is 5'5". It always makes for some interesting looks especially when I am wearing heels. 5) I hate LOL. I instead use HAHA. You can tell how funny I think something is based on the number of HA's. 6) I am not a girlie girl. I usually walk around with no make up, jeans, a tank top, and flip flops. However I love a good reason to put on a dress. 7) I am an equestrian and grew up in the Show Ring (Hunter Jumpers). 8) I don't eat spaghetti or ice cream (and by just admitting that I probably lost half of my readership), but I do LOVE a good glass of white wine.